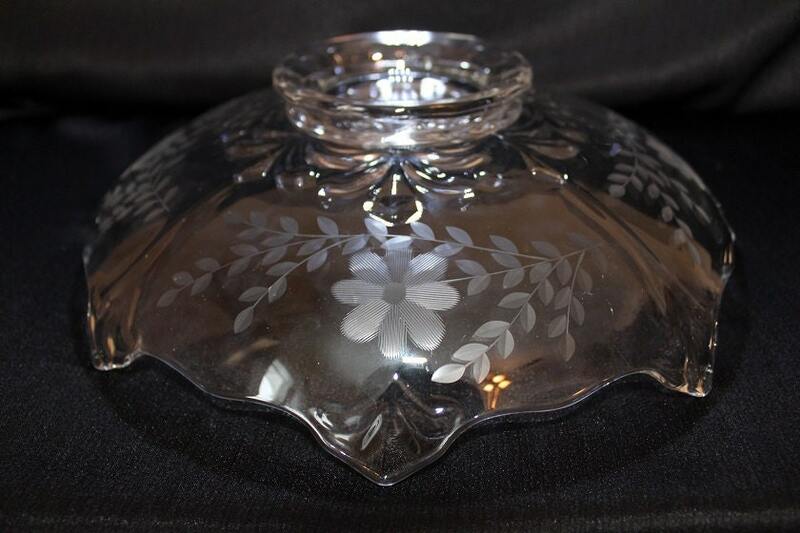 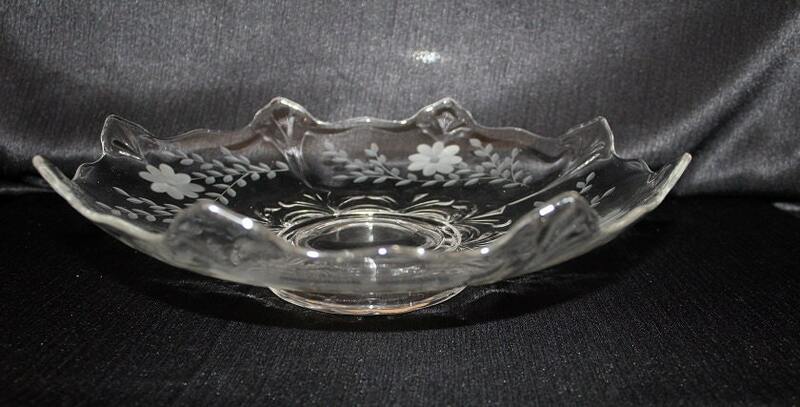 This flared console bowl was made by the Indiana Glass Company between the 1940s-1950s in the Fleur de Lis pattern. 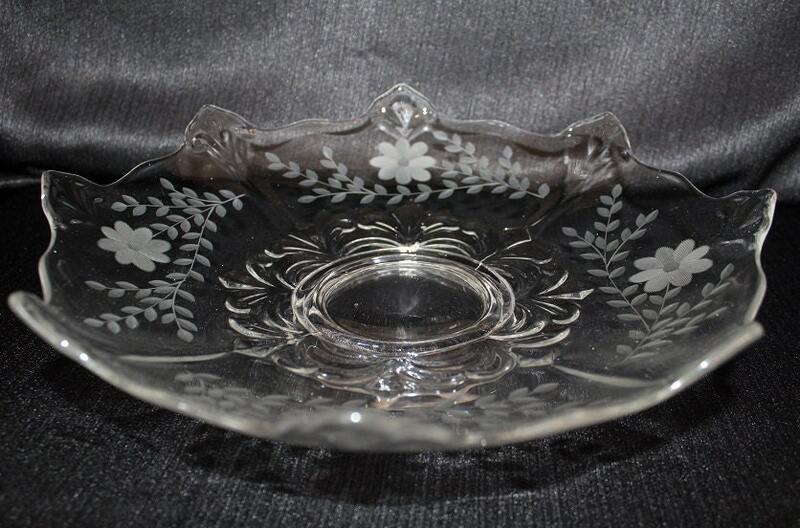 The large bowl has a wheel etched floral and leaf design which runs along the sides. 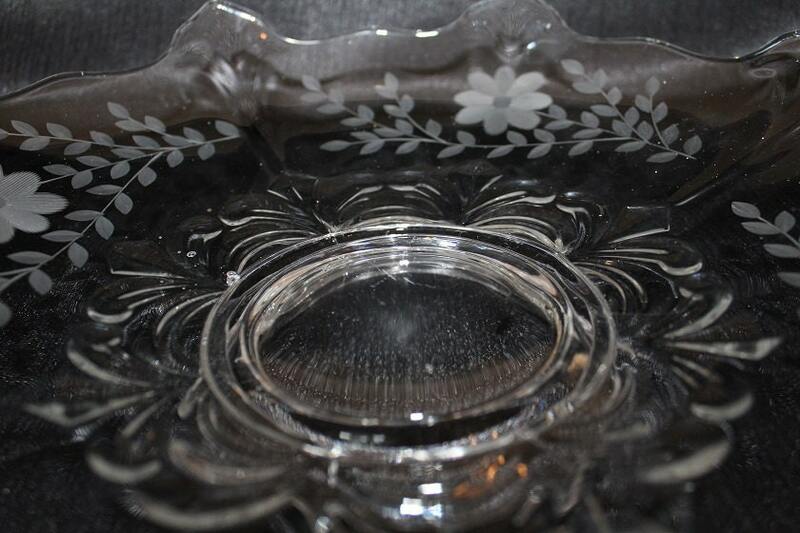 This bowl is in nice condition with no cracks or chips; however, there are some scratches from normal use which does not take away from the piece .